Special Notice to advise all Members the Clubs AGM is on Sunday 30th September 2018 at 9am in the Club House. All current members are invited to attend. 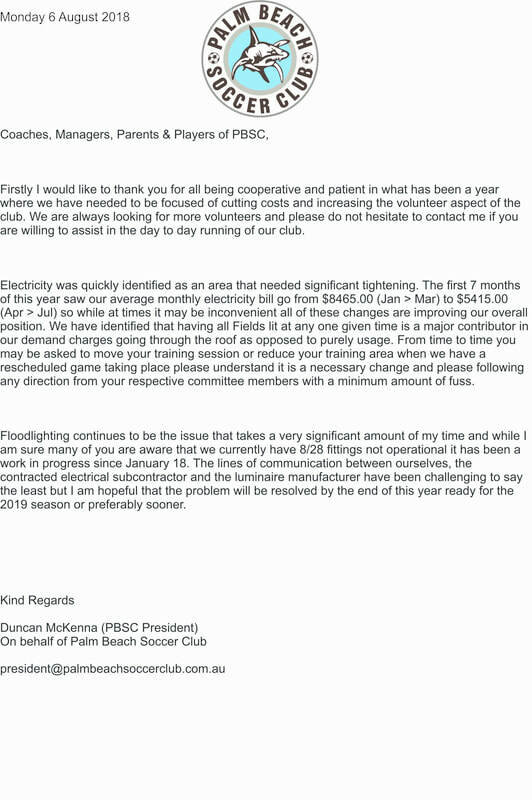 ​Palm Beach Soccer Club is proud to be affiliated with the following associations.